QUOTATION from Shil-Ponde. (1939). Hindu Astrology Joytisha-Shastra . p 123. Usually, has a very responsible position , possibly in some official capacity". Dad = POTUS-41 All the Best 1924-2018 George H.W. Bush . Typical of Surya-12, Dad was not around very much during the upbringing. Dad was the director of the USA espionage department, the Central Intelligence Agency CIA. Spying = 12. "Your mind will remain an enigma to the world and your personality can only be gauged by what you accomplish. You will have no friends to call your own, and your life will be very austere. Your movements will also be very restricted." patriotic lagnesha Chandra holds parivartamsha yoga with bhratrupathi-3 media-communications Budha. another PKY hems in the 12th bhava of distant lands, putting pressure on his ability to maintain good international relations. 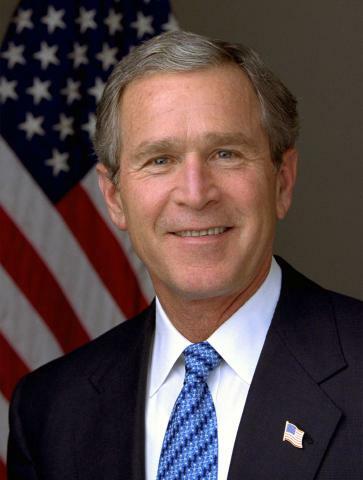 (The USA's international reputation was not favorable during his administration, due in part to perceived American arrogance and selfishness = Bush's Surya in 12). family of origin, treasuries, and speech. The family are a political lineage of significant treasure-holding capacity. 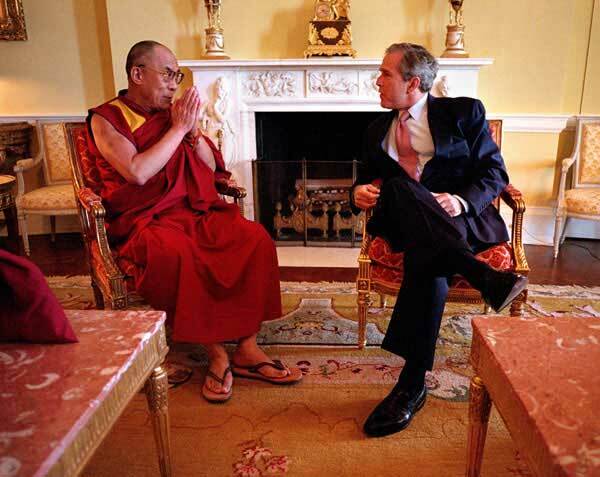 While George W. Bush is often criticized by intellectuals for his halting, contradictory, and seemingly uneducated speech Mangala in bhava-2 Bush's verbal emanations are popularly perceived as honest and believable by the American majority. Kuja= dazamamza-10 vidyapathi-5 for intelligence. Kuja's aspect upon D-10's karmasthana shows that G.W. exhibits intelligence in his leadership style, makes intelligent choices in public policy etc. He has been consistently lucky in public office, very much the effect of a strong career Vidyapthi-5! However, both the intelligence and the true excellence of this remarkable Kuja are somewhat tarnished by its proximity to fallen Guru. Kuja does occupy the superior degree of Makara, reducing Guru's negative influence somewhat. Fallen planets are also weak by nature. The negative influence from fallen Guru creates some tainted partnerships in the leadership arena, due to Rogesha-6 for enemies occupying the 7th house of advisors. Kuja, the Yogakaraka radix 10th lord, is exalted, very favorable for business and government careers, giving high levels of achievement. Kuja = karmapathi in both D-1 and D-10.AND Kuja occupies 10th-from-10th in dazamamza-10 - confirming GW's world-leader status. 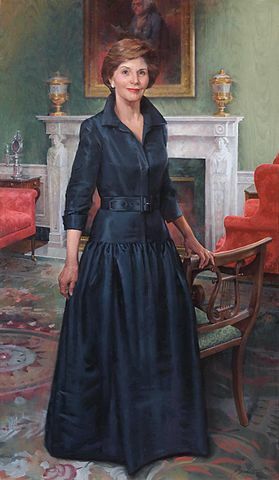 Mrs. Laura Bush worked as an elementary school teacher and later as a school librarian before embarking on a full-time assignment as a political wife. Mr. Bush's Zukra-1 is dominated by Shani and Budha, and his Budha furthermore enjoys parivartamsha with lagnesha Chandra. It is the Chandra-Budha exchange which best defines the effect of Mrs. Laura Bush in the wifely role. Zukra is in a highly complex situation. Zukra is however GW's bandesha-4 = schoolteachers. The couple is said to have met at a backyard outdoor party at the home (Chandra) of friends (Zukra vriddhipati-11 ). Mrs. Bush has said of their first meeting and quick marriage, that it was remarkable how many elements of their lives fit together. Presumably something in her style of movement (1) triggered GW's recognition that this person was his wife-for-life. In D-1, both marriage-karaka Zukra and yuvatipathi-7 Shani inhabit the lagna. This friendly pair bode well for a lawful, long-lasting, and reasonably well balanced hard-working marriage partnership. One is personality-identified to the status of socially identified with the status attribute of being a married man. Shani discourages any instinct to break the marriage contract. Zukra and Shani are exceptionally strong in lagna; and Shani flourishes in Shani-ruled Pushya Nakshatra especially in a kendra. In D-9, Vrizchika = swamsha. Marriage is perceived as a deeply confidential, almost secret relationship between the two partners [Vrischika]. behavior in marriage = lord of Vrizchika = Kuja/Simha/2. aristocratic and self-entered in marriage and powerfully directed in marriage behaviors by the royal identity of his family history. The determining factor in G.W. 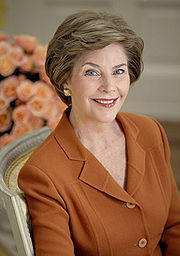 Bush's ability to remain abstinent from alcohol is reputed to be his steady and sober wife Laura Bush. when the yuvatipathi-7 occupies lagna, the native will always derive a strong social identity from the marriage partner. She is his rock, quite literally. Zukra = Lord of 7th-navamsha = psycho-emotional conditions of spouse. Both Shani and Zukra gain great power during Bush's Shani Mahadasha. "A benefic in Lagna will give a pleasing appearance, while a malefic will make one bereft of good appearance." Public-service marker Kala-Sarpa yoga often requires the sacrifice of one's own personal tastes in order to respond to the wishes of the tribe, the family, the village, or the polity. Rahu's rashi + bhava indicate to whom the native feels most beholden, and into which circle of society one most desires to enter. uttama-Rahu-Vrizabha in labha bhava * marketplace earnings, yuti Zukra-ruler-of-Rahu strong in lagna, show this intimate connection to the capitalized global marketplace. Importance-seeking Rahu pursues privilege and social mobility via self-elevation via social global networking, earning a high price for one's labor in the marketplace, unusual elder sibling, many foreign friends, attending very large assembly events, political activism and association with high earners. the native can network effectively among people of many different cultural persuasions, building large social change movements and personal profit as well. Dec-2008 Presidential term 2000-2008 completed. Ketu-Shani bhukti. Ketu-mahadasha 2003-2010, meaning that Mrs. Bush was either in the Budha-Shani bhukti or in one of Ketu's bhukti bhuktis during the entire eight years of her husband's presidency 2000-2008. "... Parashara and Jaimini taught that the 11th and 12th houses from AL show financial gains and expenditures." For a highly placed public figure in the modern age, whose effectiveness is determined less by their true character and actions and more the public's perception of their character and actions, can be seen via the Arudha Lagna . GAIN: G.W. 's AL = Vrischika, bhava-5. 11th-from-AL = Kanya, with expansive Chandra-yuti-Guru = perceived gainfulness. 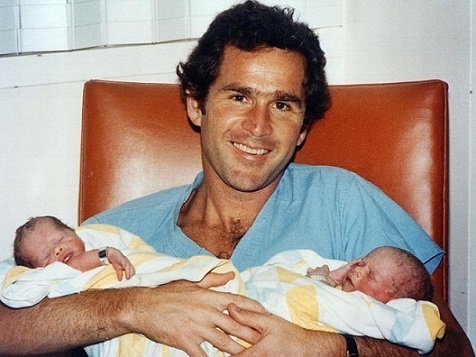 Bush is perceived as the scion of one of the historically wealthiest families in USA. Family holdings of land and mineral rights date back to the late 1800's, and contemporary wealth includes deep investment in international banking. LOSS: G.W. 's AL = Vrischika, bhava-5. 12th-from-AL = Thula, unoccupied, Professor Zukra + Shani-yuti-Budha. Losses would appear to be minimal , controlled by Shani. "Natural malefics in the 3rd and 6th houses from AL show someone who is perceived as a bold person who hits enemies hard. Since such impressions are usually formed about materially successful people, malefics in the 3rd and 6th from AL make one bold and materially successful." 3rd-from-AL = Makara, bhava-7, unoccupied, Professor Shani in lagna + Zukra-yuti-Budha. Shani signifies restraint, Budha = talk not action, Zukra = sweet relationships. Commentators have opined that Mr. Bush's weakness as President was his inability to accept negative information from his team (3) of advisors. Thus his administrative effectiveness (3) was severely compromised through psychological denial (Shani) and insistence on sweet (Zukra) news (Budha) only. 6th-from-AL = Mesha, bhava-10. Unoccupied, Professor Kuja = strong in bhava-2 = death and wealth. G.W. 's boldness is perceived to be strategic , only used when it can increase his family affluence or protect The treasury of those who share his own values and interests. In general, G.W. 's boldness was considered insufficient, inconsistent, and ineffective. Toward the exhausted end, as gochara Guru entered Makara in 2008, G.W. 's public respect levels dropped, and his career dwindled not quite into disgrace but certainly in a national mood of disappointment. The public despaired of the quality of his performance. Disrespect was widely expressed for his weakness in mismanaging both domestic and international affairs, leading to economic depression and an unethical, wildly expensive war -while Bush seemed "checked out" in a state of apathy. "The 10th house from lagna in D-10 shows one's true conduct in society. It shows one's career and the true nature of one's karma (work). The 10th house from AL in D-10 shows perceptions about one's conduct in society. It deals more with one's status in career." D-10 - dazamamza-10 = remarkably powerful. The dazamamza-10 confirms and elaborates features relating to public reputation, visibility, and intent to assume positions in top-down social structures. These features must be already present in radix and navamsha charts; the dazamamza-10 is not inherently predictive but rather confirming of predictions based on features of D-1 and D-9. Radix lagnesha Chandra has become a very highly empowered graha via parivartamsha yoga with Budha. When good things happen to Chandra, good things also happen to Chandra's rashi. Any of G.W. 's varga in which Karka is rising will do well because of the blessings attending to Chandra in radix. Like USA-Sen-Tenn VPOTUS Climate Change 1948- Al Gore , his opponent in the bitter 2000 POTUS-43 election contest, G. W. Bush has a strong and complex personality. Rulers of radical bhava 3, 4, 7, 8, 11, and 12 occupy kalpasthana-Karkata-1. Navamsha Chandra yuti Mangala, Shani, Guru, and Rahu-Singha navamsha-10. Mr. GW Bush needs to use national stage in order to develop his personal drama. Other good news is that G.W. is in no danger of being assassinated while POTUS-43. His Vimshottari Dasha for 2001-2008 excludes bhukti of either 2nd or 7th lords, and unlike other public figures who are in the line of fire, there is no rising kharesha. Yet the Karakamsha = dharma bhava; #43 was born into a lineage, and he had a destiny to fulfill. It is well-known that the foundation for GW's success is the ancestral power and position of his financially privileged father and grandfather ( Guru = dharmesha-9 in radix) and their political backers. This underlying ambivalence is represented via nichha-Guru + uttama-Kuja in dazamamza-10 . Yet Kuja is so extremely strong that political achievement of the highest order is guaranteed. G. W.'s presidency remained extremely strong during the Rahu-Ketu transit to Mesha-Thula, Oct 2003-April 2005 - supporting his 4/10 leadership axis and Shani/nodes in D-10 dashamamsha. Guru and Budha are mutually unfriendly graha. Guru's breadth of perspective and characteristic inclusiveness is contradicted and minimized by Budha's fixation on small conversational details. Therefore Guru is naturally weak in Kanya rashi. Yet lord Budha is strong in lagna. Budha becomes double-strong from the parivartamsha with lagnesha Chandra. Guru benefits from the acquired strength of his lord Budha and also Guru benefits from Brihaspati's intimate relationship with lagnesha Chandra. Therefore emotionally it could be expected that things would in general go well, with some glitches during bhuktis of graha who occupy difficult angles vis-à-vis Guru. In Bush's case there are only two disadvantageous angles from Guru: Ketu and Kuja. Therefore except for the Guru/Ketu and Guru/Kuja bhuktis, it should have been a fine time in his life. Generally speaking, for a young man age 25-40, Bush had everything needed: wife, family, business opportunities, and money. General pattern of the Guru Mahadasha included both The rogesha-6 effects (alcoholism and business debt) as well as blessings of dharmesha-9 = powerful connections to the world created by his father. Guru is naturally also the karaka for religion and children. 1986: G.W. Bush experiences a self-described Christian religious conversion, and takes a consecrated vow of abstinence from alcohol. As G. W. entered his 40th decade, mahadasha of his amazing Shani began. and re-elected governor in 1998 Shani/Chandra. 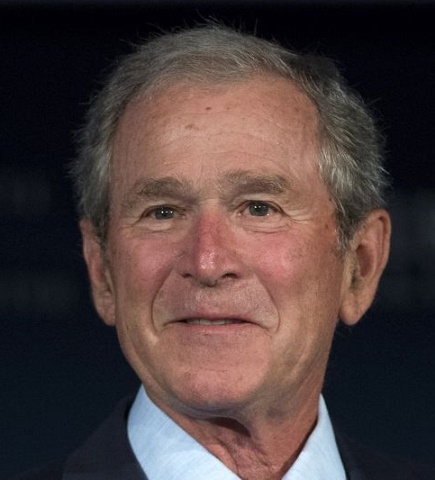 G. W. comes from a financially privileged east-coast family which has substantial business interests in Texas but their cultural homeland is the blue-blood estate world of New England. G. W. like all the Bush children was born in Connecticut. Nevertheless G. W. married a native Texan wife and was a highly popular governor perceived to be a native son. 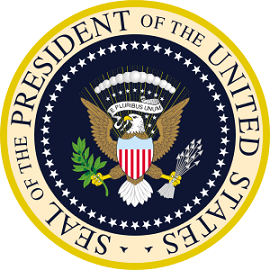 As ballots were being counted for the 2000 POTUS-43 election, GW entered Shani-Rahu bhukti while samchara Rahu-Ketu via Mithuna/Dhanus. Not a dangerous nodal axis for GW, but considering Shani's engagement with Ketu-Rahu in dazamamza-10 , the election would be highly irregular and resolved only by a supreme court decision - in his favor, of course, since the nodes really were in a non-dangerous place at the time, and GW's Shani is very strong! Elected with very limited popular support yet an obvious mandate from America's super-financially privileged"overclass ", G.W. appeared to face poor political prospects as the leader of a democratic country with a huge middle class. True to Rahu, the Sept-11 crisis soon occurred which temporarily erased internal American class divisions and bonded all peoples against a common enemy. GW's approval ratings went sky-high. Rahu occupies the gainful 11th-from-mahadasha Shani, a predictor that the outcome of Shani/Rahu bhukti must be gainful . In the lives of those lacking Kala Sarpa yoga, Saturn/Rahu is normally a very difficult life bhukti which can plunge the individual into suicidal despair . However in a time of national frustration (with a fraudulent election) GW relied on his family's huge financial power base. Shortly afterward, in a bhukti of national desperation and fear G.W. hit the political jackpot, turning crisis of"Sept-11" World Trade Center terrorist bombing into a strong political base. His popular approval ratings rose extremely high during the two years following the crisis, making his Shani/Rahu bhukti an era of astounding political success! We then decided to erect a statue of George in the Washington, D. C. Hall Of Fame. We were in a quandary as to where the statue should be placed. It was not proper to place it beside the statue of George Washington, who never told a lie, or beside Richard Nixon, who never told the truth, since George W. could never tell the difference. George W. Bush Monument Committee"
"Bush is my shepherd; I dwell in want.
" He maketh logs to be cut down in national forests.
" He leadeth trucks into the still wilderness. He restoreth my fears.
" He leadeth me in the paths of international disgrace for his ego's sake. "Yea, though I walk through the valley of pollution and war, I will find no exit, for thou art in office. "Thy tax cuts for the rich and thy media control, they discomfort me. "Thou preparest an agenda of deception in the presence of thy religion. "Thou annointest my head with foreign oil. "And my jobless child shall dwell in my basement forever."